Three reasons to choose R and R Painting NC LLC as your Waterproofing contractor. Experience - R and R Painting NC LLC has been providing waterproofing services to homes and commercial buildings since 1977. We know what products work best and how to apply those products for optimum results. Your home or business will stay dry after using R and R Painting NC LLC's waterproofing services. Affordable - R and R Painting NC LLC waterproofing services are always competitively priced and what you would expect to pay for a quality job. Find out today how affordable waterproofing with R and R Painting NC LLC really is. Call for a free quote. Satisfaction Guaranteed - R and R Painting NC LLC guarantees that you will be satisfied with your waterproofing. The job will be done to your specification and we go the extra mile to make sure you are more than pleased by the result! R and R Painting NC LLC is a leading provider of Waterproofing services. Our expert waterproofing technicians have years of experience treating homes and buildings to resist the effects of weather and water. Water damage is a terrible thing. Water causes walls and ceilings to crumble and can lead to toxic mold and mildew to grow. They say an ounce of prevention is worth a pound of cure. We say an ounce of waterproofing is worth a dumpster of water damage cleanup. 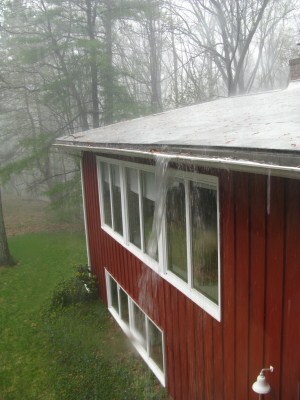 R and R Painting NC LLC technicians can save your family or business a ton of trouble by preventing water from entering. Call and ask us what we can do.